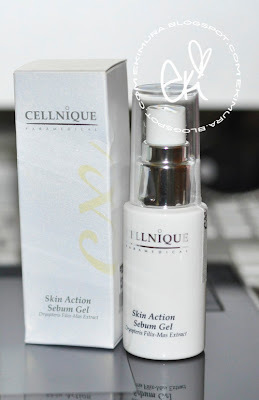 so I told you guys I was using a new skincare product and here it is~ I have been using Cellnique for the past 14 days and I have to say I LOVE it!! I need a change in the skincare item that I was using since I started to notice new problems such a discoloration, build up in the pore which cause me to have small bumps to acne and wanted more smoother even skin. 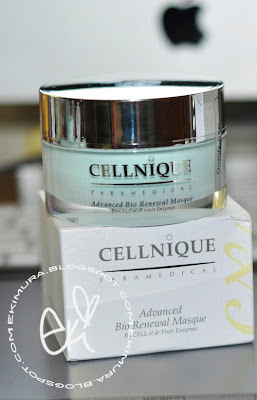 Cellnique is The Expert of Problematic Skin. 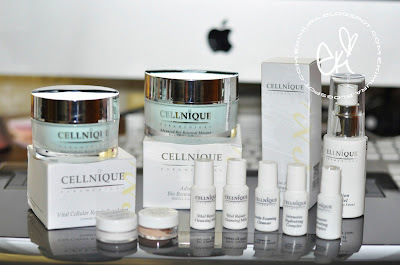 All Cellnique products are formulated with Cx Formulation. Cx Formulation is an advanced in-clinic formulation that combines the power of biological active ingredients, natural plant extracts, antioxidants and a bio-active delivery system, offering the best performance for immediate and visible results for various skin problems. 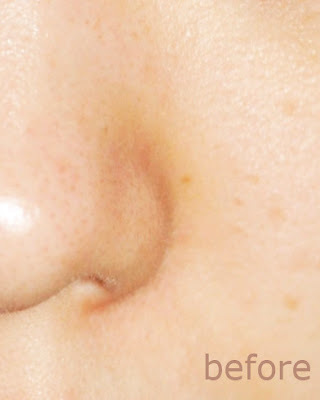 A gentle formula designed for comedogenic, oily and combination skin types to reduce both blackheads and whiteheads. This daily maintenance gel also reduces oil secretion, leaving the skin clean and clear. Dryopteris filix-mas extract reduces skin inflammation. It soothes skin irritation, helps to improve skin texture, and control and prevent future breakouts. An ingredient with great anti-inflammatory and soothing properties. It imparts a cooling sensation and a minty scent, leaving skin feeling clean and refreshed. Aloe vera extract has been used for thousands of years to heal burns and injuries. Research has confirmed that the extract has anti-inflammatory properties and promotes wound healing. Due to its polysaccharide and sterol content, Aloe vera acts as a water-binding agent, resulting in soft, smooth and supple skin texture. Witch Hazel Extract A plant extract with toning and astringent properties. It also helps to promote healing, reduce inflammation and has anti-irritant properties. Purified Water (Aqua purificata), Tea Tree Oil (Melaleuca alternifolia), Dipropylene Glycol, Eucalyptus Oil (Eucalyptus globulus), Hyaluronic Acid, Aloe Vera Gel (Aloe barbadensis), Sodium Salicylate, Witch Hazel Extract (Hamamelis virginiana), Carbomer, Glycerin, Peppermint Oil (Mentha piperita), Triethanolamine, Imidazolidinyl Urea, Methylparaben. I use this after the serum, this emulsion is very nice, non sticky gel like cream, light scent and hydrates my skin well~ I have sensitive/oily skin so this item have reduced redness and have sped up healing time on my acne scars! 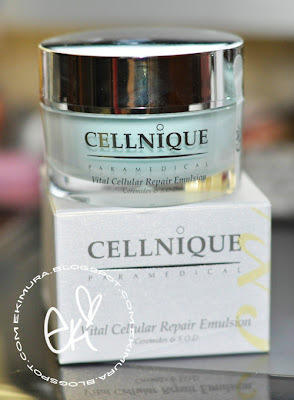 Vital Cellular Repair Emulsion is an innovative formulation, consisting of reparatory ingredients, specifically designed to repair damaged cells and promote the healing process. In Japanese, ‘Shiso’ means ‘purple leaf’. Shiso is a herb belonging to the mint family and has many uses in both food and medicine. It is a natural antiseptic and also works against inflammation. The topical extract shows tremendous promise at reducing allergic reaction and inflammation. Ceramides Ceramides is a natural ingredient in human skin that is critical for the skin’s good health and youthful appearance. Topical application of ceramides helps prevent trans-epidermal water loss (TEWL), and protects and strengthen the skin’s immune mechanism. Yeast Beta-Glucan Yeast beta-glucan stimulates cell renewal. It is effective in promoting wound healing and is able to strengthen blood vessels and increase skin immunity. Superoxide Dismutase (S.O.D) The enzyme, S.O.D., catalyzes the dismutation of superoxide, a highly reactive free radical, into oxygen and hydrogen peroxide. S.O.D. is an important antioxidant defence in nearly all cells exposed to oxygen. Purified Water (Aqua purificata), Butylene Glycol, Cyclopentasiloxane, Dimethicone, Perilla Ocymoides Leaf Extract, Sodium PCA, Aloe Barbadensis Leaf Extract, Chamomilla Recutita (Matricaria) Flower Extract, PEG-10 Dimethicone, PEG-8, Tocopheryl Acetate, Panthenol, Sodium Hyaluronate, Bisabolol, Disteardimionium Hectorite, Ceremide III, Yeast Beta Glucan, Superoxide Dismutase, Sodium Chloride, Diazolidinyl Urea, Methylparaben, Propylparaben. Glycolic acid, derived from sugar cane, is the most active and beneficial of the AHAs. When applied to the skin, glycolic acid penetrates deeper, below the superficial layers of skin, and breaks up the ’glue’ that holds dead skin cells. When using glycolic acid to counter acne, it is often combined with salicylic acid (BHA). While glycolic acid breaks up dead skin cells, salicylic acid removes these dead skin cells remove from the surface of the skin, opening pores and leaving skin feeling smooth and revitalized. An enzyme derived from the pineapple plant, bromelain helps to digest keratin protein and promotes effective exfoliation. Removing dead skin cells results in smoother, brighter skin. A natural formulation of essential skin nutrients, marine protein helps retain moisture, elasticity and firmness of the skin, giving it a younger and radiant appearance. Derived from milk, lactic acid is well-known for its skin hydrating properties as well as being a gentle AHA exfoliant, helping to re-texture the skin surface and stimulate cell renewal. Malic Acid An AHA fruit acid, derived from apples, to rejuvenate and improve skin condition by softening, increasing cell turnover and promoting circulation. Purified Water (Aqua purificata), Cocamidopropyl Betaine, Disodium Cocamphodiacetate, Pineapple Enzyme (Bromelain), Papaya Enzyme (Papain), Polyethylene Micro Beads, Glycolic Acid, Malic Acid, Citric Acid, Tartaric Acid, Tomato Extract, Lemon (Citrus medica limonum) Oil, Grape Seed (Vitis vinifera) Extract, Bilberry (Vaccinium myrtillus), Amino Acid, Saponaria (Saponaria offcinalis) Extract, Propylene Glycol, Chamomile (Anthemis nobilis), Aloe Vera (Aloe barbadensis) Gel, Linden (Tilia cordata), Titanium Dioxide, Allantoin, Disodium EDTA, Methylparaben, Propylparaben, DMDM Hydantoin, Tropical Fruit Fragrance. can you see the difference here? Overall I love this products a lot one draw back is the price... I wish it was cheaper but I guess you get what you pay for~ :D I cant wait to continue using this product and see more results! Hi Eki:) You are so brave to take closeups on your "naked" skin! ahaha You still have beautiful skin before or after:) I love this review! Hi eki! omgosh that skincare line worked great for you! 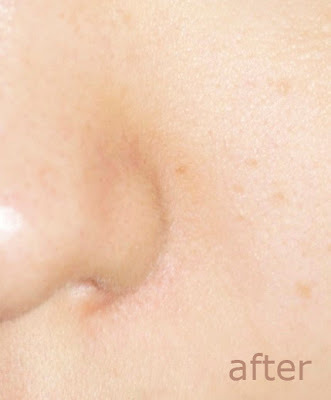 Your acne scars definately lightened! :D BTW, you look great without makeup! THE BEFORE AND AFTER SHOTS ARE AMAZIIIIING. ID LOVE TO TRY THIIS. Girl you're still BEAUTIFUL even with the bare face!! I'm so jelly!! But the difference can be seen in the discoloration!! I'm glad you found something that works so well for you!!! I'm currently using the Advance Bio renewal Masque and I too love it but using it alone didn't give me that great of a difference. I'm definitely going to be targeting the other products after this, thanks!! wow eki.. those product is really nice.. your skin did improve.. It sounds like clinique :) haha I'm scared to go look at the price but seeing the results makes me wanna get it xD great review though! Wow, looks like that stuff really works (though honestly, you have gorgeous skin to begin with). OMG Eki your skin looks beautiful even without anything on it!!! serum is it then, will definitely target this since you gave it such good reviews. Patents cost $10,000 for 1 design! And if they're Canadian, nothing we could do. I definitely want to try this. Your review made it very convincing that it worked wonders! At first glance I though it was clinique but then its cellnique. Thats pretty cool that it works for you and i see the difference on the before and after photos. Ive been breaking out myself, mainly on the forehead which never happened before ugh! I need to change something in my skin care routine but i dont know where to start. oh well! WOW, amazing! If it wasn't for the price I'd try it! Woah... tempting! I think you got nice skin from the start and the products helps to make it even better..lovely! Thanks for the clear and detailed review..
Wow, so amazing!! I am so going to try out this range! Wow such a detailed post Eki! It's great that the skincare is working for you! Meanwhile b.liv (which is also by Cellnique) is the retail products avaible at pharmacies (off-the-shelf) or via www.blivskin.com where it is targeted for youth's skin problem. It is basically 2 different line. Sorry that it causes confusion. Such a detailed review! The results are pretty dramatic which is really cool! Your before skin looks amazing. But yeah, the after pictures are really good! If this product works that well for me I'll be in heaven. great review - that's great that you found a new skincare line that works for you! I think your skin already looked great, but you're right - I can see that your skin looks more even and any spots are already lighter. Really good results! Do try the Fair and Lovely too in conjunction with your current skin care...I think you will like it! 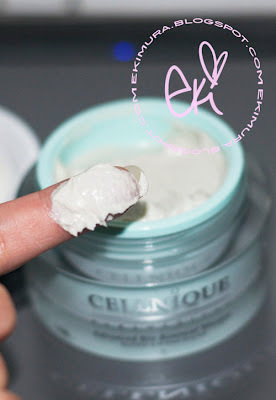 Hi Eki...great post on cellnique...juz bought the sebum gel after tried the sample..They also reccommend other range same as yours...because of u..I finally hv the courage to buy the other range..